In its 2018 Report to the Nations, The Association of Certified Fraud Examiners stated 40 percent of occupational frauds are first detected through tips and 53 percent of those are reported by employees. Throughout my career, I have seen employee tips lead directly to discovery of fraud in the parts department. In one case, a parts department employee called the HR manager to expose a fraud by the parts manager. The counterperson explained that the parts manager had ordered tires for an RV which was owned by a friend. The cost of the tires was then charged to used vehicle inventory. A copy of the invoice was provided, and we were able to determine the tires were charged to a Hyundai sedan in used vehicle inventory. We compared the tires purchased to those of the tires required by the used vehicle and found the size of the tires purchased did not match the vehicle. The used car manager had approved the tire replacement and did not appear to be colluding with the parts manager. However, the used car manager should have been more diligent. When vehicles are appraised, tire condition should be evaluated. The used car manager should have compared the trade-in condition report to the results of the used car inspection, and then questioned the need for replacement. In addition to the tires, the tipster informed us of an open parts ticket for a radio that had been purchased for the parts manager’s personal use. In this case, it appeared the manager was having difficulty finding a vehicle or repair order to charge the invoice as it was dated several weeks prior. One way to help mitigate the risk of this type of fraud is to monitor open repair orders and parts counter tickets frequently. Except for unusual situations like back ordered parts, repairs orders and parts tickets should rarely be open more than a few days. Another parts employee at a small dealership was concerned because of a transmission in the shop that the parts manager intended to use for a personal vehicle. The controller remembered “touching” that transmission during the physical inventory; however, there was no record of it in the DMS. Our research discovered that this transmission had been included in the physical inventory balance and was subsequently deleted from the DMS by the parts manager as if it was never received. It appears the parts manager intended to hide the shortage by inflating the cost of other parts in the parts pad (perpetual inventory). Examples of this were plate frames and screws that were valued significantly higher than the true cost. This resulted in the parts pad being greater than the general ledger balance. Over the course of a year, the accumulated differences would have allowed the manager to cover the cost of the stolen transmission. This type of fraud is more difficult to discover. One way to help reduce the risk is by testing a sample of items deleted from the parts inventory. It is also important to institute a mindset of accuracy where overages are thought of in the same light as shortages – neither is good business. In both these cases, the comments made by the employees were crucial in our discovery of the fraud. However, the whistleblowers were both reluctant to come forward out of fear of retaliation. One employee was concerned that the manager in question would not be terminated, despite the dealership’s zero tolerance policy. Both employees mentioned that they were unsure of who to contact at the organization. The employees’ concerns could have been mitigated if the dealerships had offered an anonymous hotline. 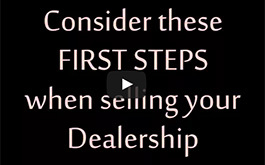 Does your dealership have a reporting hotline? Eide Bailly offers an anonymous, confidential hotline reporting service where employees can use an online submission form or call a toll-free number to report fraudulent or wrongful behavior that could be happening in the workplace. Companies of all sizes and services benefit from this service. Contact us to learn how you can make your employees an asset against fraud. TEASER: Your employees are the people most likely to catch fraud in the workplace. But how can you help them get over their fears of reporting it? 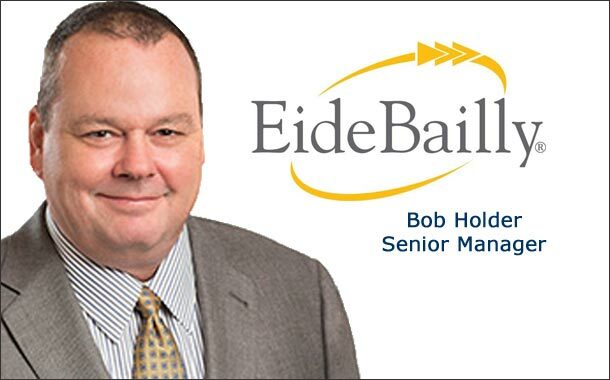 Bob Holder is a senior manager at Eide Bailly LLP in Las Vegas, NV. He can be reached at 1-702-304-0407 or bholder@eidebailly.com. Eide Bailly is one of the nation’s top 25 accounting firms.